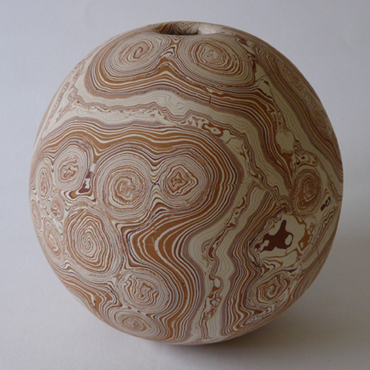 This vessel is a 23 month study of a very particular layer arrangement which can usually be found in natural minerals like Agate, Malachite or Rhodochrosite. I find a simple spherical shape aesthetically most appealing for its eloquently clean geometry. Slight inaccuracies only make it look genuinely organic – I believe.